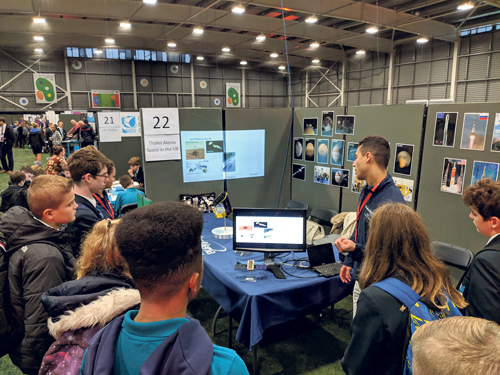 Students from Bristol and South Gloucestershire secondary schools and colleges got a taste of their future employment prospects at Bristol’s most comprehensive careers event, Ambitions 2018. This year’s event, organised by SGS College and City of Bristol College, was part of the national ‘Love Our Colleges’ campaign. Ambitions, which took place on October 16-17, provides students with a unique opportunity to talk to employers, colleges, universities and training providers to discover the vast array of career and learning opportunities available - as well as learn about the knowledge, skills and attitude needed to excel. From hi-tech virtual reality applications to advanced medicine and healthcare,all pathways were represented. Since its inception over 10 years ago, Ambitions has grown to become the biggest careers event for young people in the South West. This year’s event was home to over 120 exhibitors and was attended by more than 4,000 visitors.